It is up to Athens to decide the measures that will make up a “positive package” that makes use of any “fiscal space” that may arise, Eurogroup President Jeroen Dijsselbloem said on Tuesday, replying to questions on Greece. 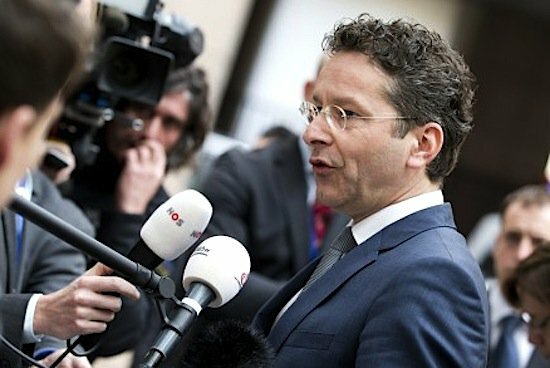 “It is first of all up to the Greek government how they want to reinvest fiscal space, how they want to use that,” Dijsselbloem said. He explained that Athens will talk to the institutions about it and come back with an investment package, a “positive package” using that fiscal space. “It is not for me to decide how they should spend that money,” he added. In reply to other questions, he repeated that the institutions will be returning to Athens in the near future while noting that “it still requires a lot of work,” with reforms that involve the tax system, pension system and labor market.